Located within easy reach of the M25 and A1, Welwyn Garden City Golf Club is hidden amongst the Hertfordshire countryside. 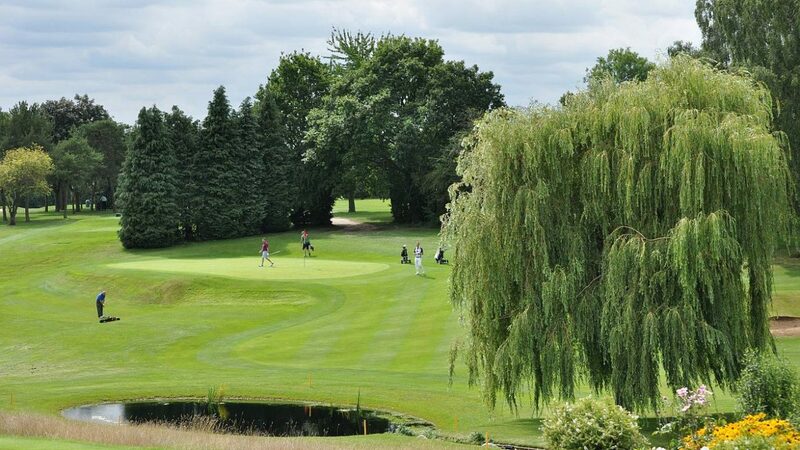 One of the best kept golf courses in Hertfordshire, the 18 hole course, in an undulating parkland setting, with narrow fairways protecting small, true, well-draining greens, making it the ideal venue to hold a memorable society or corporate golf day. With a relaxed and friendly atmosphere, you will find a perfectly equipped clubhouse with a well-stocked bar, outside terrace with views across the course, spacious changing facilities and a well equipped pro shop. Our multi-purpose function room provides the perfect space for larger groups to enjoy celebrations and our delicious menu options, whilst admiring the views of the course. The course is an impeccable par 70 6,100 yard course for the men, par 72 5,527 yards for the ladies. At first sight it seems a relatively easy test of golf, but many scorecards tell a different story. With 5 testing par 3s, four of them over 180 yards from the back tees, and a 600 yard 17th hole, regarded by many as the signature hole of the course, this is a true test of golf for all standard of player. The superb drainage makes this a truly year-round course, providing an excellent venue for winter visitors and societies. You will have access to our large practice putting green, practice nets, and our practice area that includes our short game practice green and bunker. 18, 27 and 36 hole packages available with breakfast, lunch and dinner options, freshly prepared by our on-site chef. Winter season November to March. Packages start from £22pp Summer season April to October Packages start from £33pp We are always happy to discuss tailored packages to suit individual requirements. Located near to the A1 junctions 4 and 6, we are a short drive from the M25 junction 23. Welwyn Garden City train station is five minutes by taxi. We have ample free parking on-site. Book online for our best rates www.wgcgc.co.uk or call 01707 325525. The club can recommend excellent hotels and guest houses in and around Welwyn Garden City. 18-hole course, club house, bar, outside terrace, function room, pro shop, free WIFI, changing rooms, car park, putting green and practice facilities including swing studio.